← Stand on one foot and hop. 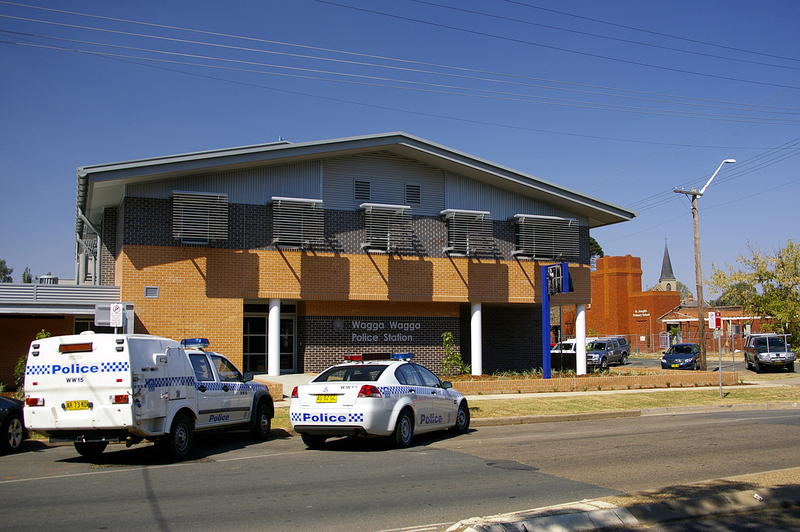 The Wagga Police Station was opened in 2009. We're lucky that someone was smart enough to bring an ink pad from the old one. We were probably the first people they inked in this building. The process of applying for PR status has also involved getting police clearances. We have no secrets… nothing is private. Well, except for the RCMP’s process; it seems to be completely secretive (more on that in a bit). Dan had to submit a police clearance for the original visa (random selection or something) but Lisa didn’t. So one day last spring (Aus spring…October) she goes down to the Wagga Police Station to get fingerprinted. Although Dan was able to go to the Edmonton cops when we were still living there, fill out a simple form and hand over $35, Lisa’s process is a little more involved. First, you must submit for a clearance through the Royal Canadian Mounted Police. And, for some inexplicable reason, they will only take hard-copy, ink prints when you’re outside the country; other countries will accept digital. So the police officer had to track down some ink, some paper, and someone who knew how to do it (the officer hadn’t used ink since the academy, 15 years ago!). Lisa paid the WaggaCops $40 for their friendly service, and the prints got shipped off to the RCMP ($25 money order enclosed for processing)…and, apparently, into a big, black void. They say that it takes 10-11 weeks to process, but we are now at week 17 with no sign of a document saying she is clean. And they don’t really respond to queries; all they will say is yes, they got it and tell you that the process can take “in excess of 120 days.” So, we could be waiting for 7 years! Who knows? No response to subsequent email/phone messages either. We've started to wonder if the fingerprints aren't to check your criminal status, but to prove that you have opposable thumbs. Kangaroos, who can't hop on one foot or touch their fingertips together behind their back, don't have thumbs, so they are lucky to have been born here because otherwise they wouldn't meet most of the requirements for residency. Dan’s clearance from last year is valid for only one year; it will expire on March 1. So fearing that Lisa’s clearance might not be back in time, he pre-emptively went to get another one done here in Wagga, mid-December. It might not be necessary, but the $40 (plus $25 RCMP fee) seemed worth it to save time, if it came to that. His printing ended up being free, because the WaggaCops were in a labour dispute with the NSW government and not charging for services at the time (bonus!). So, off went another package to Ottawa. When Lisa went to Canada in January, she decided to try another route to speed the process — she went to the Owen Sound Police Station to get another one done. All she had to do was fill out a form, pay $50 and that was it; unfortunately, the police said they had to send it to Edmonton (because they had to check with our last place of residence) so it could be 4-6 weeks. The plan was for her dad to pick it up and courier it to Wagga, if it arrived before the RCMP version. 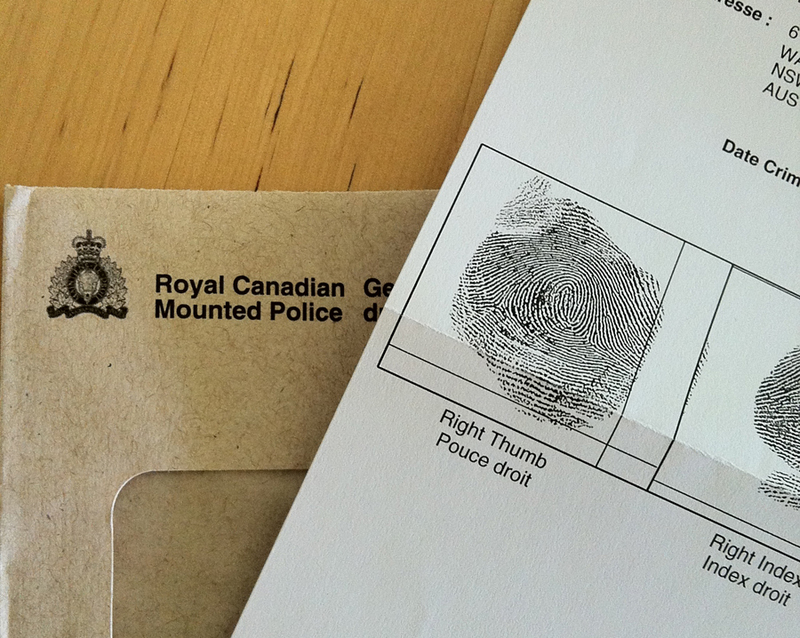 Then, about a week after she got back from Canada, she gets our mail and there is a letter from the RCMP! Thrilled…until she realized it was to Dan. His clearance was already done; hers was still lost in limbo. And then this past weekend, she finds out from her parents that they have the Owen Sound/Edmonton one in their possession already, and will be sending it out special delivery, ASAP. No idea what has happened with the original, RCMP one, but she’s pondering how she can get her money back. This week, we photocopied all of our important documents – our degrees and passports – and had them notarized by a Justice of the Peace. It was a bit of a hassle, as those UWO diplomas aren’t a normal size, and they were framed, so it took a bit of time to un-frame, centre on copier, re-frame. Then the JP came over to Lisa’s office (which is kind of silly, because his office is in the same building as Dan…hmmm, why did we organize it that way?) with his stamp and pen, and spent 30 minutes verifying that everything was legitimate. In Canada, there was a $10 charge per document, so we were worried that this was going to cost us a lot of money. Lisa had noticed a sign in the Post Office advertising a $3.95 fee… but still, with all of the duplicate copies, it was going to be a lot of cash. Well, since so many people need things notarized here in Australia, signatures offered by a JP are now considered a public service and was free. We did give him a bottle of wine (Australia’s other currency), but we would have done that even if there had been a fee. Dan thinks that all new Australian citizens get a free pet wombat from the government. Dan is an idiot. So now, we just wait for the package from Lisa’s parents with the form that proves she isn’t a serial killer, and we submit the application to become permanent residents of Australia! This will mean that we can get NSW driver’s licenses (we are still using our Alberta ones) and will qualify for free Australian health care instead of paying for private coverage. When we get PR status, we will have to figure out a good way to celebrate: dinner out? matching Southern Cross tattoos? a vacation to Kangaroo Island? Unfortunately, we have to wait for citizenship before we get the right to vote or receive our pet wombat. Or maybe we’ll take a trip to Wombat (we haven’t actually been in Wombat yet, but drove past many times. Dan was in the suburb of Wombat Heights recently (on the edge of Wombat – a town large enough to have suburbs! ), where he bought some home made liqueurs and jams at The Grog Shed. It’s literally some guy’s shed, where to use the wireless EFTPOS machine – Aussie for Interac – he had to go outside and stand under a certain tree for a signal!). Yes, it’s a fun country, on so many levels… but it’s (soon to be) our country. 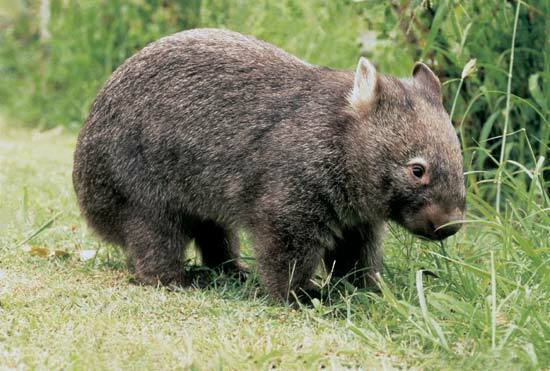 I LOVE wombats! If you don’t want your free one you can send it to North Carolina. Darwin would enjoy a new brother. Although they probably will chew your face off if you hug them too tight… Love the blog!